I’ve personally taken Amtrak’s high-speed Acela line between Boston and New York more times than I can remember. At 3.5 hours, it’s roughly the same amount of time you’d spend jumping through hoops at the airport but it’s a far less abrasive experience overall. The inclusion of free Wi-Fi ought to add yet another compelling reason to choose trains over planes. 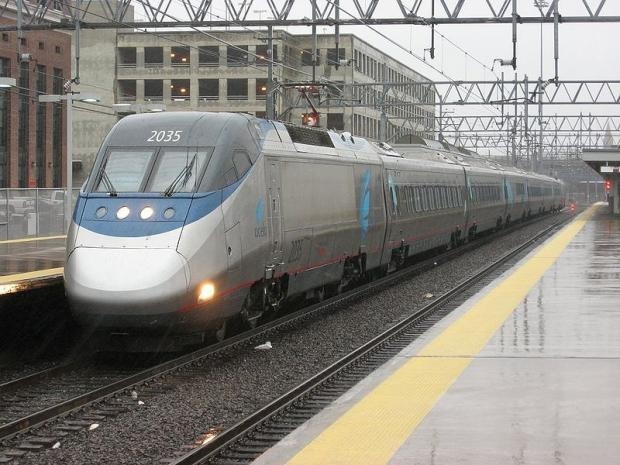 The company had previously hinted at adding high-speed wireless connections to its trains and has now officially said that the Acela line (which runs between Boston and Washington D.C. with stops in Connecticut, New York, Philadelphia, and Baltimore) will be getting Wi-Fi in March – for free, initially, although the regular price hasn’t been announced yet. After that, the slower regional Amtrak lines around the Northeast should be getting Wi-Fi connections, with an eventual rollout to trains all over the country. Note to Amtrak: Make the service free forever. Don’t charge for it. I know your industry’s in a tight spot right now but the last round-trip ticket I bought between Boston and New York on the Acela line was $233. That’s insane when flights can be found for less than half that.